Academic assessments in London and online. JK Educate. At JK Educate we academically assess children from Year 1 (6 years) up to Year 8 (12 years), working with the children on a one to one basis. We are one of the very few consultancies and tutoring agencies that test academic potential. Our academic child assessments allow us to test a child’s ability against the rest of their cohort nationally and this also helps us to identify which senior schools would be the best fit for the child. Assessments allow parents to understand the academic level a child is currently reaching at school and how they are doing compared to others nationally. Assessment reports identify a child’s academic potential and determine if they are currently reaching it, and if not then why not? They identify a child’s suitability for the range of entrance exams for selective schools at 7+, 8+, 9+, 10+, 11+ and 13+. Our assessment feedback discussion includes recommending suitable future schools and whether tutoring might be required to prepare for entrance exams. To book an academic assessment, please call: 020 3488 0754, or contact us. Your child will sit a range of tests; depending on their age, this can take from 1.5 hours up to 3 hours. These tests provide us with a clear indication of the level your child is working at and key information about your child’s strengths and weaknesses. It also gives us a guide to their potential ability and whether they are currently achieving it. 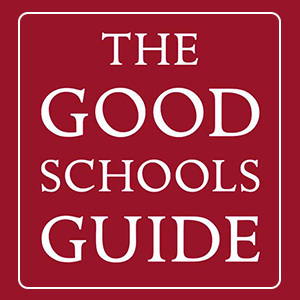 Our assessments are marked by (and the feedback given by) senior teachers at deputy head or senior school leader level; our findings are written up in a detailed and bespoke formal assessment report, which includes teaching recommendations and advice with suggested secondary schools. We spend an hour feeding back the findings in a face to face meeting with parents, providing opportunities to discuss the assessment in detail, ask questions about your child’s academic progress and the implications. Our assessments allow you to measure academic progress at school, helping you to make key decisions about secondary schools and your child’s academic future. Our tests can also provide a first step alert for specific learning difficulties and concerns. We often find that while children receive good feedback at school and appear to be doing well, they are still some way off from reaching their potential. Our academic assessment reports provide clear recommendations on how to move your child forward based on real data, to achieve their true potential. Our assessments measure your child’s suitability for specific entrance exams for selective secondary schools and will give you an indication of your child’s likely chances of success. After the assessment feedback report, we discuss how we can best support your child with their preparation for secondary school transition. You will be offered the opportunity to use our tutoring services, if appropriate, with a JK tutor specially selected for your child. All parents want their children to go to the right school – where they will be happy and thrive. For some, this will be a competitive secondary school and for others, it will be somewhere more caring and nurturing. We will help you identify the right setting for your individual child. We do not believe in tutoring children to get into a school that is not suitable for them. That’s why we always assess our selective entrance exam students before recommending the way forward. We tutor children to empower them to show their best in the exams, to go in with confidence and to have a positive experience. For more information about our academic assessments, please call: 020 3488 0754, or contact us. “I just wanted to say thank you very much for looking after Erik so well yesterday. He came out of the assessment absolutely buzzing, having thoroughly enjoyed the whole thing. It will be fascinating to find out how he did and how he came across! “Thank you very much. This has been a really useful experience. You have really helped me to have a realistic approach to the secondary transfer game. Maria enjoyed the process too (and is really looking forward to developing a vocabulary book!). “I just wanted to write to thank you very much for the assessment you recently carried out for my daughter. What you did was exactly what we needed. Your feedback has allowed us to better understand our daughter and her abilities. What’s more, the objective information you provided about different schools and what they look for has helped us to make a more informed decision about where to focus our efforts for secondary school applications. At our Hampstead offices. Also available elsewhere or online, by arrangement.